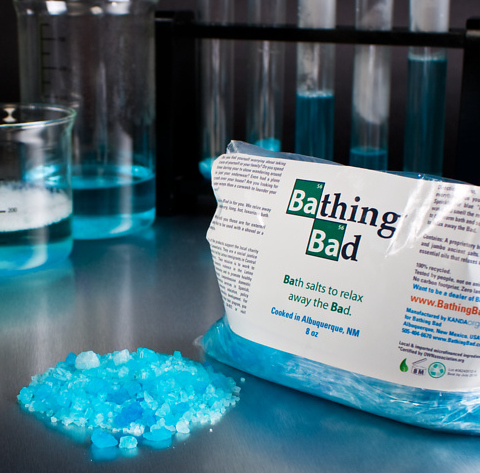 If you've been watching the cult show Breaking Bad, you'll understand why these Bathing Bad bath salts are most excellent. They're made from all natural ingredients, they're not actually bags of crystal meth. 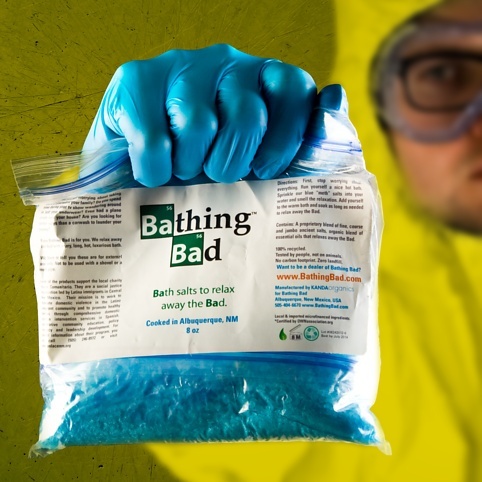 I've also been assured that they're very relaxing and won't turn bathtime into a particularly gruesome bath tub scene - Breaking Bad and baths do mix well in this case. Let's all have a long crystal meth bath salt soak and then watch lots of episodes of the TV show in our pyjamas. Want some? They're £14.99 and available exclusively from Firebox. For all you bad people out there.